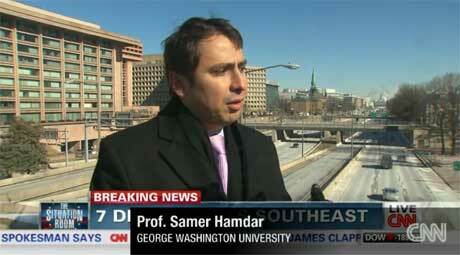 Hamdar is an assistant professor in the GW School of Engineering and Applied Science and the director of the Traffic and Networks Research Laboratory, which is part of the Center for Intelligent Systems Research (CISR). Pedestrian flow modeling and detection. Special focus is given to transportation safety and sustainability with research in emission modeling and air pollution propagation, driver decision making under uncertainty, disaster management and evacuation modeling. For more information about his research contact Prof. Hamdar.